With tear resistant Kevlar fingertips, each comes standard with replaceable PU palm puck, thumb puck, and finger bar. 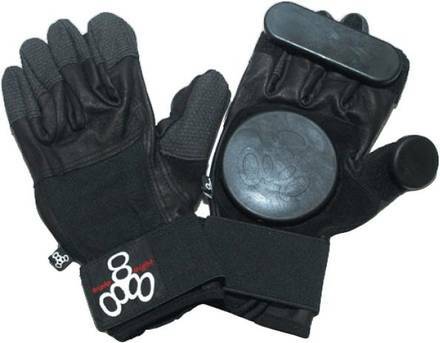 These gloves also come with a heavy-duty, wrap around Velcro wrist strap to ensure a perfect fit. Triple Eight's slide gloves offer flexibility to carve your own lines in the concrete waves without the fear of road rash. Comes Standard with replaceable PU palm puck, thumb puck and, finger-bar.